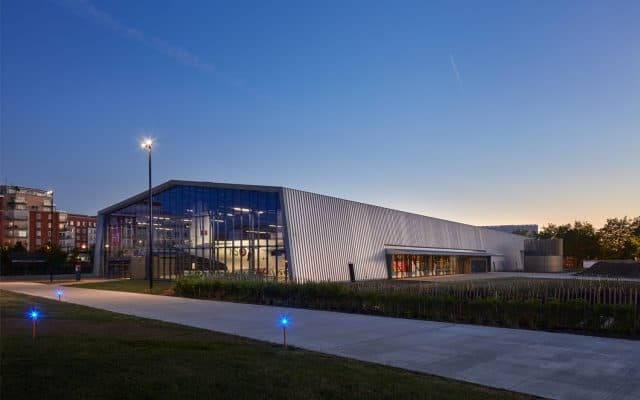 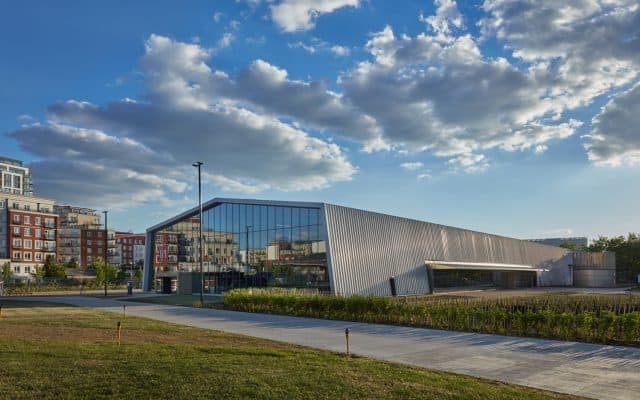 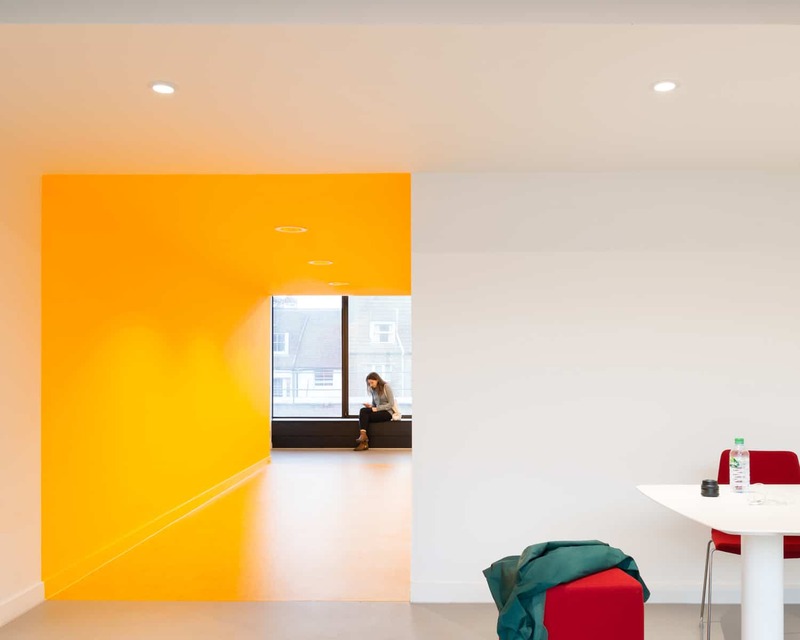 Creating a publicly accessible campus vision, this project has transformed a dated office building into a vibrant new space for the University and the City. 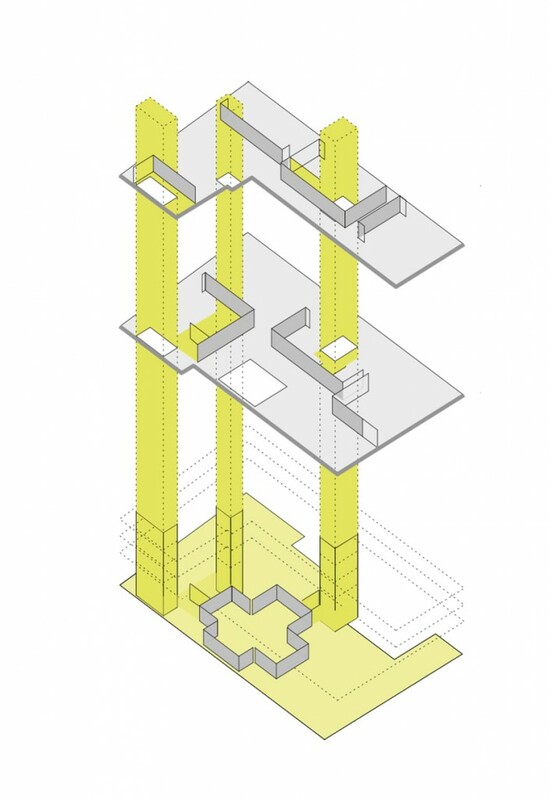 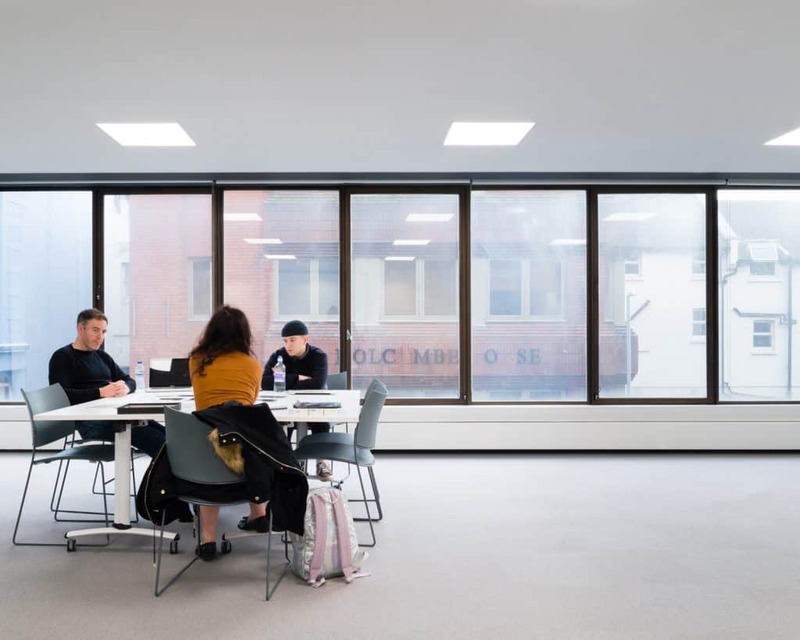 In response to significant growth in student numbers, the faculty of Art at the University of Brighton is implementing a Campus concept that will consolidate their estate and open new spaces up to the public. 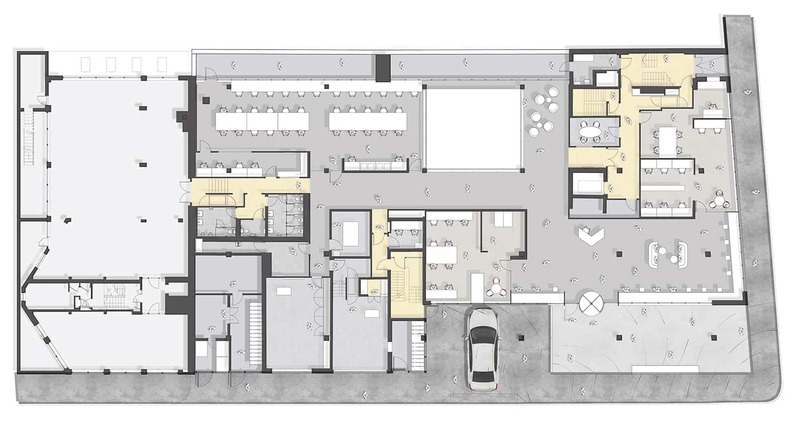 Following an appointment to undertake a feasibility masterplan, two key campus buildings were envisioned. 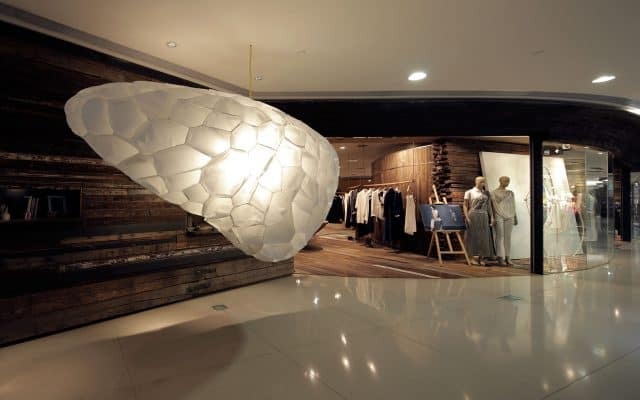 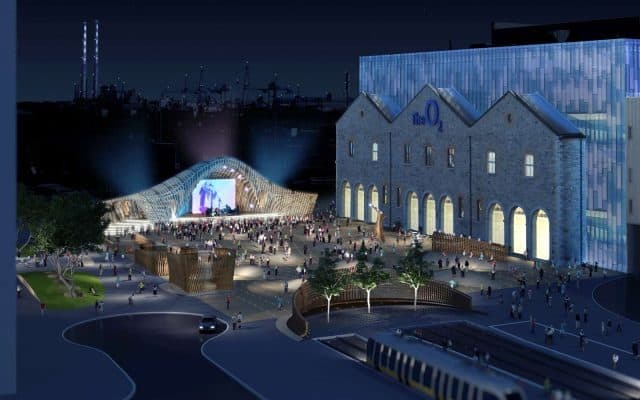 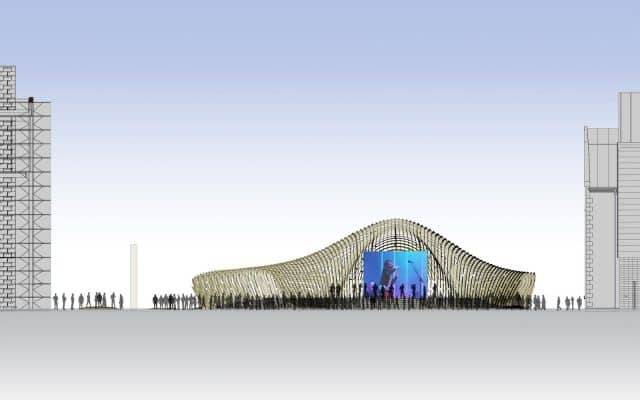 Nex went on to be appointed for the detailed design of the first building. 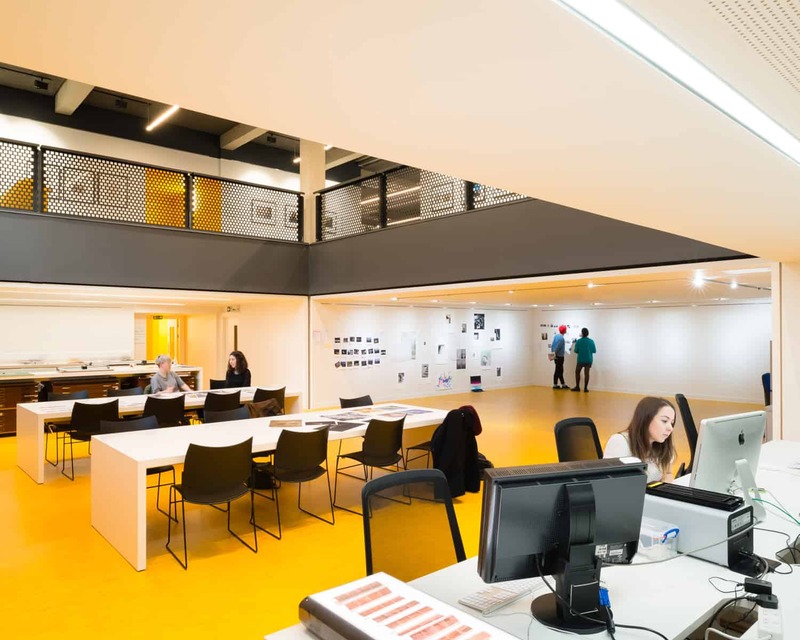 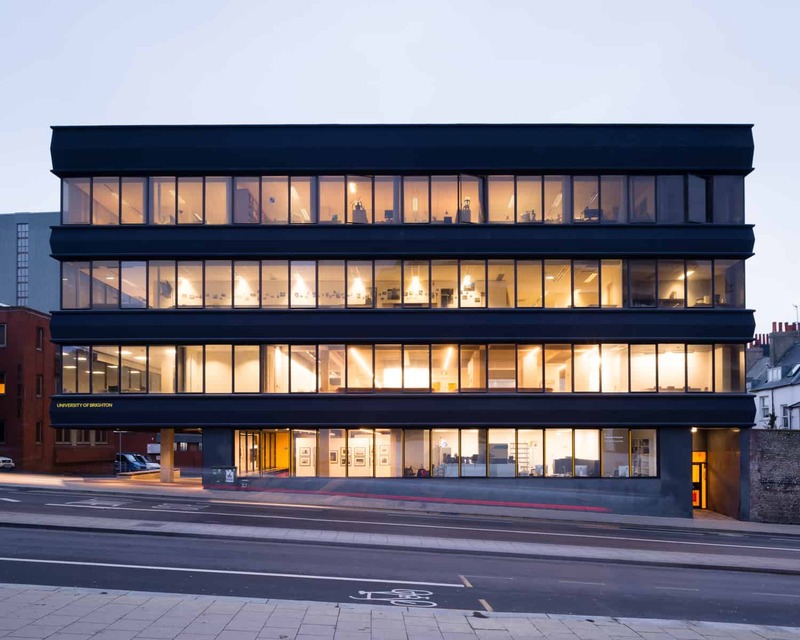 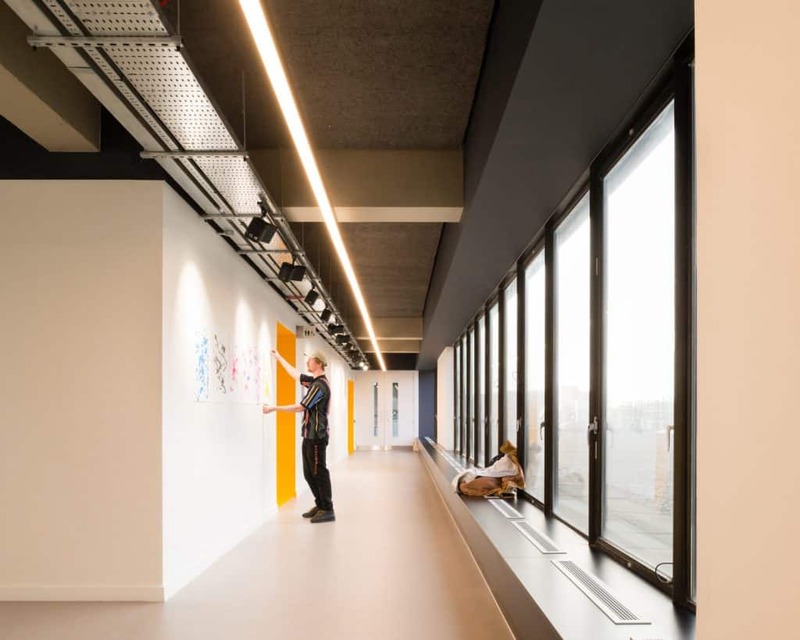 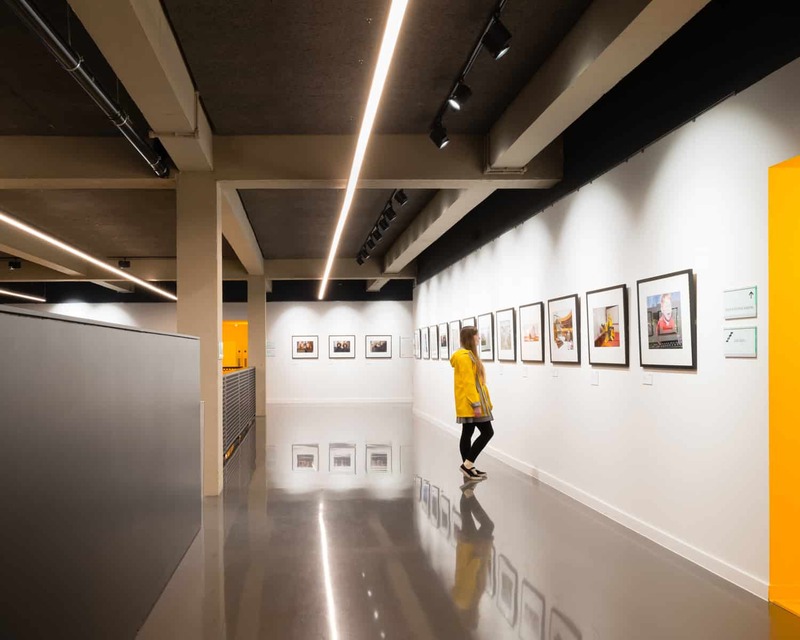 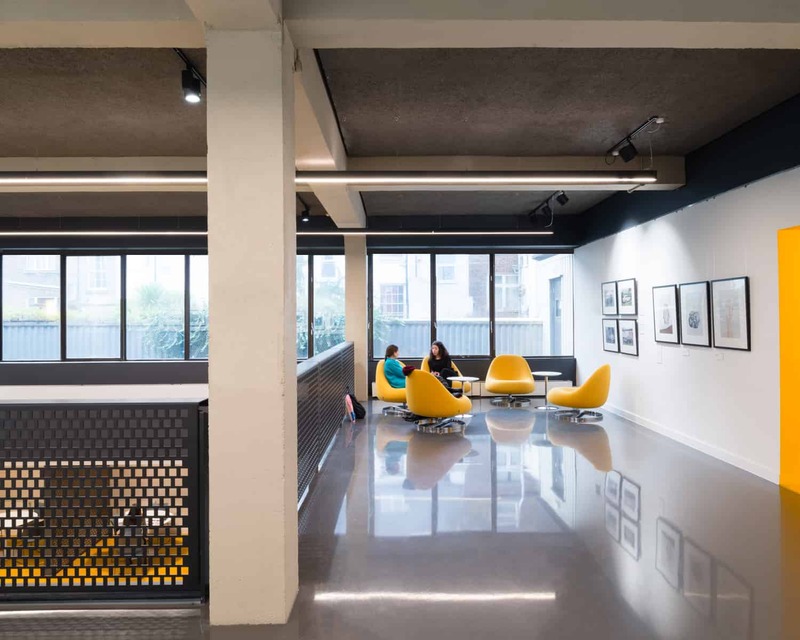 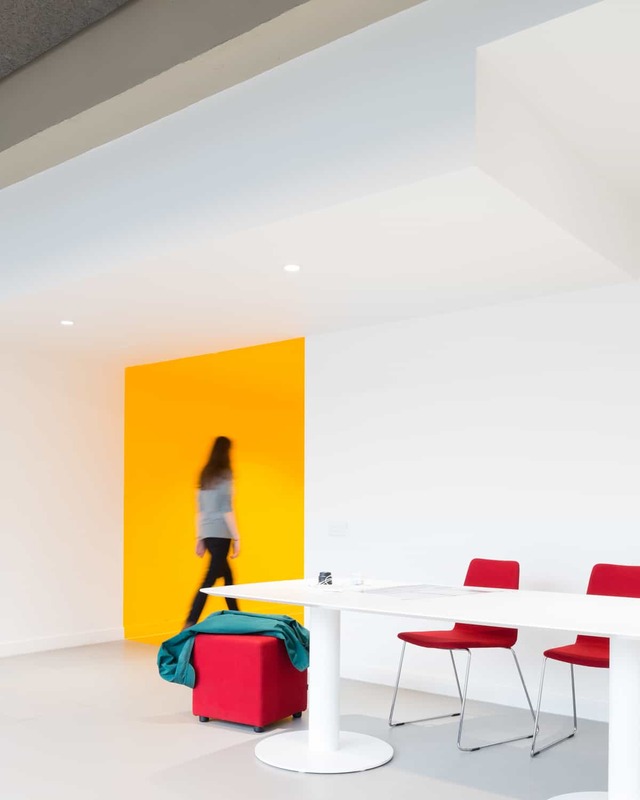 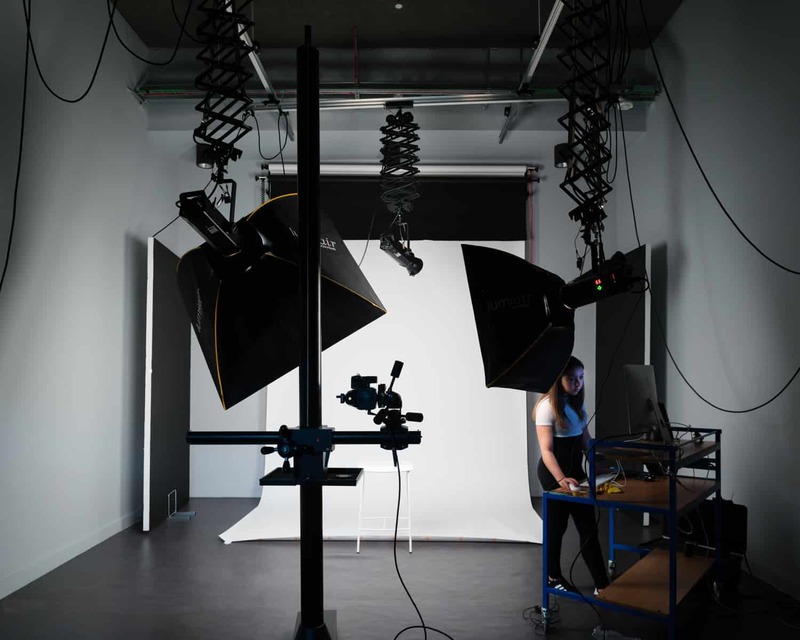 At the core of the project is the transformation of an unloved 1960’s office building into a vibrant, functional learning and social space for both Photography and Film students and the public. 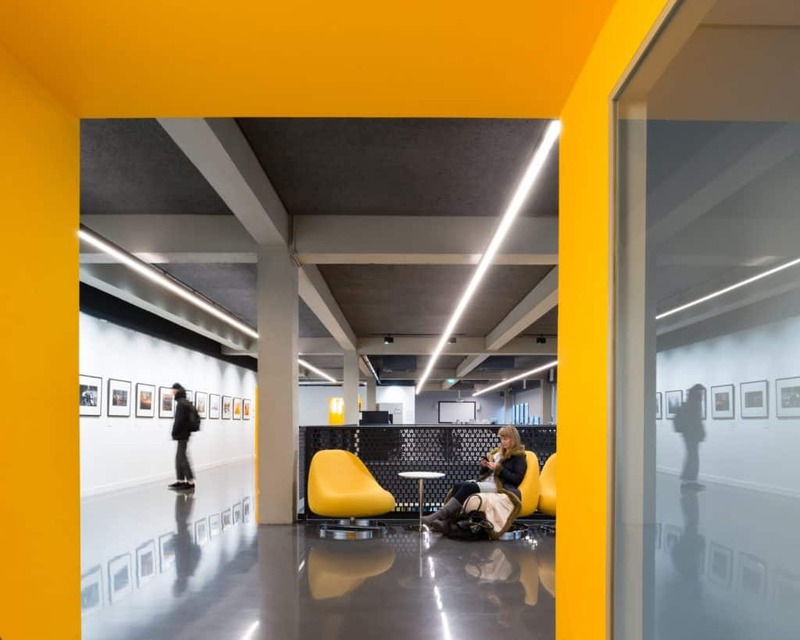 The interior of the new building is characterised by ribbon like walls that transition from open flowing exhibition and social spaces to enclosed specialist, teaching and learning spaces. 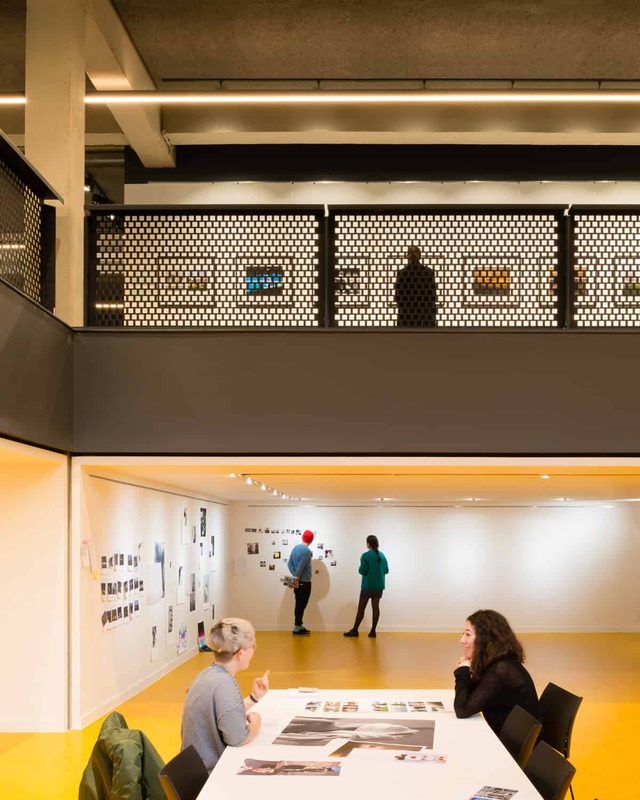 The ground floor is a public exhibition and event space, acting as a hub for regional cultural partners. 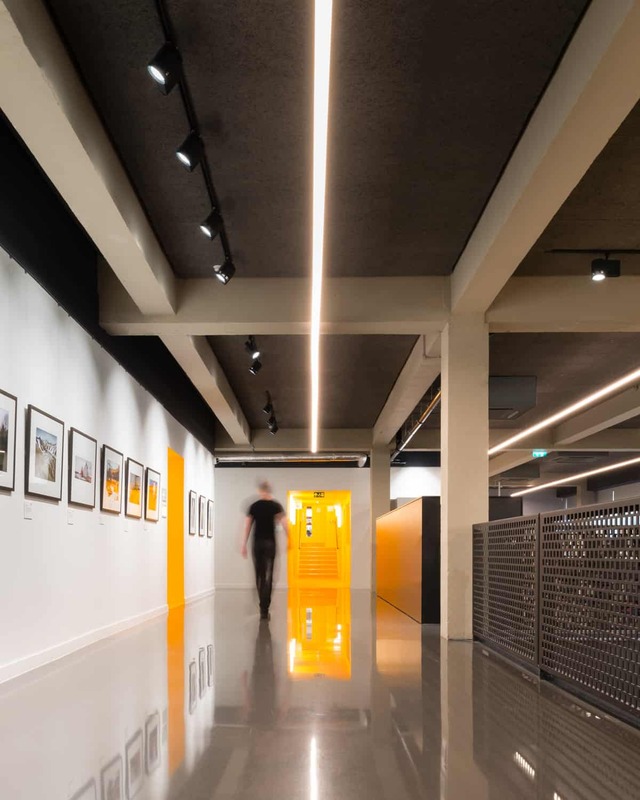 The concept of artistic production is carried up through the building through vibrantly coloured stairs and circulation lobbies displaying historical photographic instruments and prints. 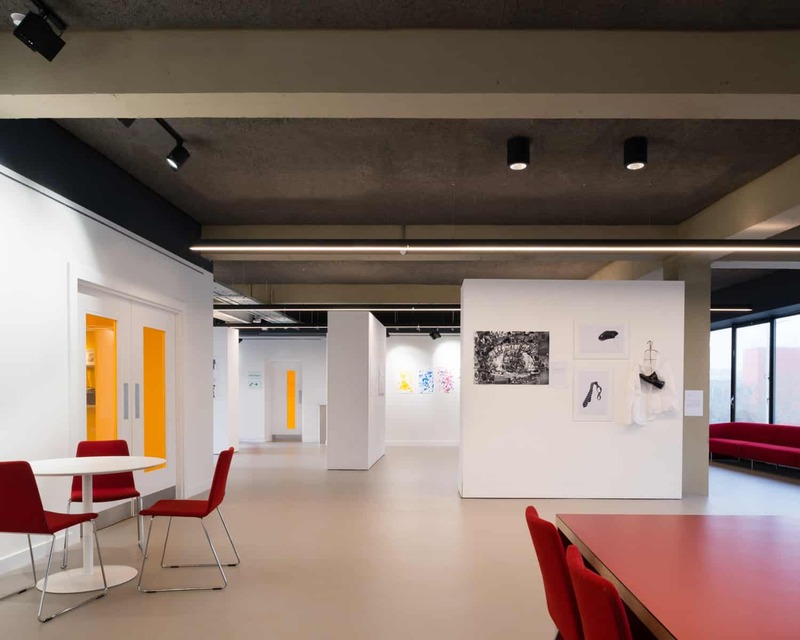 Bringing together learning, art and culture, this space offers a new shared forum of exchange for students and the city alike.